The Ballpark Mysteries is a chapter book series featuring 13 books. 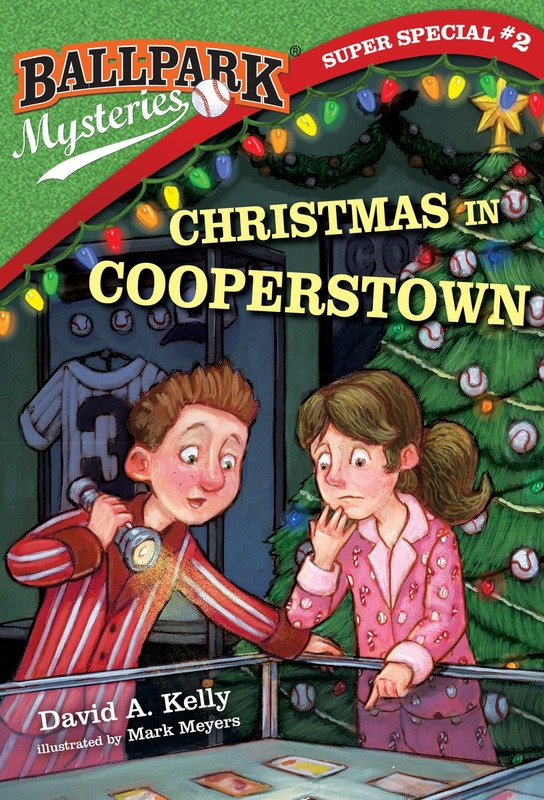 These are adorable stories with Mike and his cousin Katie who solve mysteries in the baseball world. These books are over 100 pages and feature just a few pictures (for those of you planning for book reviews!) 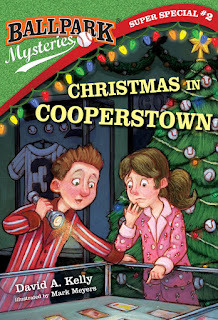 Christmas in Cooperstown by David A. Kelly is a wonderful addition to the series featuring the holiday theme. I love how this sweet story has kids working together to figure out the mystery. After volunteering to wrap presents for charity, Mike and Kate get a special thank-you: a sleepover at the Baseball Hall of Fame! But when they’re sneaking around the museum late at night, their flashlight reveals that one of the famous baseball cards on display is a fake! Can they find the real card, catch the crook, and get the presents to the charity’s Christmas party on time? It’s up to Mike and Kate to turn this Christmas mess into a Christmas miracle! One lucky reader will win a set of two Ballpark Mysteries Books! !